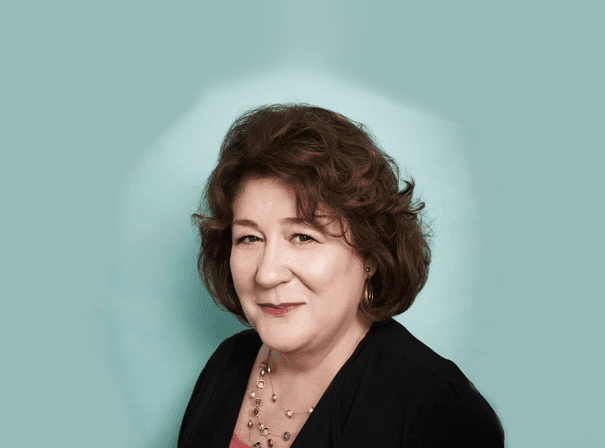 Esteemed American actress Margo Martindale has appeared in film, television and onstage throughout her extensive career. Following what some might call her best-known role as Mags Bennett on crime drama television series Justified, Martindale won a Primetime Emmy Award and a Critics’ Choice Television Award for her performance in 2011. She was again nominated for an Emmy Award four times for her role as Claudia on spy thriller series The Americans, winning in 2015 and 2016. Martindale played supporting roles in several other films including The Hours, Million Dollar Baby, Dead Man Walking, Orphan, and Hannah Montana: The Movie. Martindale made her Broadway debut in 2004 in Cat on a Hot Tin Roof. Her performance as Big Mama earned her a Tony Award nomination for Best Featured Actress in a Play. Prior to this, she had starred in numerous Off-Broadway stage productions, including playing the role of Truvy Jones in the first production of Steel Magnolias as well as starring in the first national tour of the play. Known for her wide range of characters and television shows, Martindale has appeared in over 30 television shows and over 50 films. Among these is her role as recurring character Camilla Figg in the first three seasons of Showtime crime series Dexter as well as her recurring role in the A&E courtroom drama 100 Centre Street with Alan Arkin.